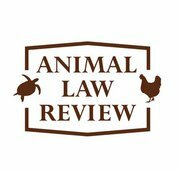 Here’s a teaser from my forthcoming piece, “Hot, Crowded & Legal: A look at Industrial Agriculture in the United States and Brazil.” The article is co authored with the fabulous Sarah Saville (Pace JD 2012) and will appear in the Animal Law Review. The article is based on a talk I gave at the Review’s Inaugural Symposium in Fall 2011. This essay examines the impact of industrial animal agriculture in the United States and Brazil. It surveys the respective regulatory environments in the two countries and discusses how their regulatory regimes have enabled the spread of factory farming while taking little heed of its pernicious effects. We focus on the United States and Brazil for several reasons. First, they are the first and eight largest economies in the world, respectively. Second, both countries have very large agricultural sectors and play significant roles internationally. In addition, both countries have begun to address the issues raised by factory farming while yet having much work yet to do.